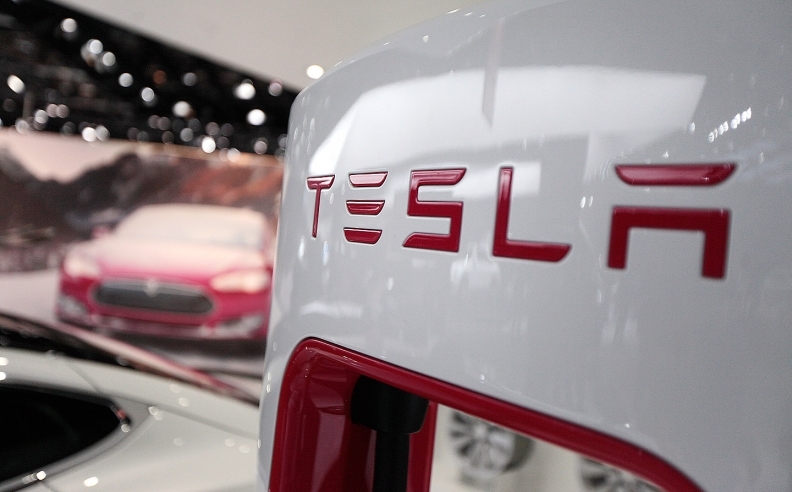 Tesla Motors Inc. has applied for a Michigan dealership license, a move the automaker said is intended to test a state law effectively banning the electric-vehicle maker’s direct-sales model. A decision on the application is expected within two months, Michigan Secretary of State spokesman Fred Woodhams said today. Tesla applied for the license in November, about a year after Gov. Rick Snyder signed a bill prohibiting the direct sale of vehicles from automakers to consumers. The application is a way of testing the state’s seriousness in enforcing the law, a Tesla spokeswoman wrote in an email to Automotive News. Tesla applied for a Class A dealership license, which would allow the company to sell new and used vehicles if approved, Woodhams said. A Class A dealership also must have an on-site repair center or be affiliated with a third-party repair operation, Woodhams said. He said Tesla supplied the secretary of state’s office with additional information late last week after the office requested it. It is unclear what information was sought, but Woodhams said it is typical for an applicant to be asked for more information. In October 2014, Snyder signed a bill into law banning the direct sale of vehicles from automakers to consumers. The bill passed both houses of the Legislature with one combined “no” vote, closing a loophole that allowed Tesla and others to operate in the state. Tesla called the bill, backed by the Michigan Automobile Dealers Association, “a raw deal” when it passed the Legislature. The language banning direct sales was added at the last minute to the bill, which initially was written to ensure that dealers could tack additional fees on to the purchase price of vehicles sold in the state. Palo Alto, Calif.-based Tesla also has fought to crack into other states where direct sales are banned, including Texas. While it has not had success in tilting public policy in its favor in Michigan or Texas, Tesla succeeded in 2015 in getting Georgia, Maryland and New Jersey to allow direct sales. The Detroit News reported on the application earlier today.